Friends and family: helpful or unhelpful influence on your mental health? One of the most significant elements of recovering from depression or poor mental health is the impact that friends and family have on this stage of someone’s life. Specifically, family members can (without knowing) often be part of the problem, especially when it comes to maintaining negative belief systems that underpin many cases of depression, anxiety and phobia. This can take place over years, decades even, and it’s not even noticeable until someone makes a change in their life and gains a different perspective. Often, parents or siblings will collude in these belief systems by offering sympathy, agreement and comfort that the someone is correct in their belief, rather than gently challenging a belief that is clearly wrong or harmful. They’re only doing it because they love the person in question but often this forms the backbone for someone’s negative outlook, or a seed that grows into unhelpful thought patterns, leading to anxiety and depression. 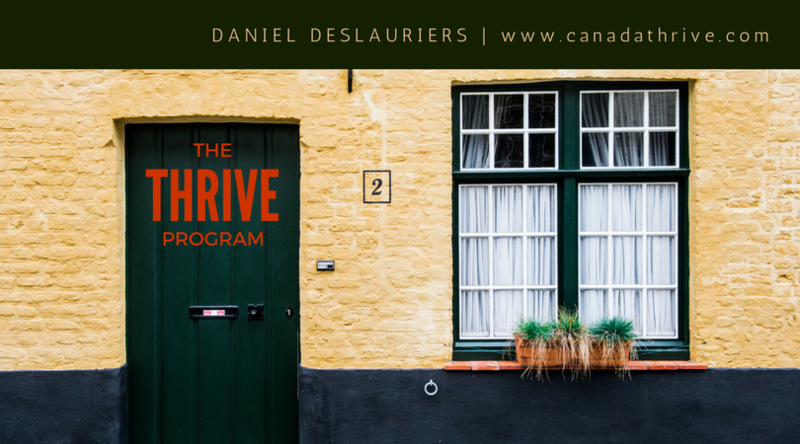 Emetophobia – a chronic fear of sickness and vomit, something that The Thrive Programme’s Cure Your Emetophobia & Thrive course excels at treating – is often made worse by such collusion from friends and family. Parents, in particular, can often exasperate someone’s negative beliefs towards encountering vomit, catastrophizing a childhood incident such as being sick or feeling unwell to the point where their offspring develop unhelpful coping mechanisms and eventually a strong phobia around the subject. The video below, a testimonial from a former emetophobia sufferer, discusses the issue of family collusion and how powerful this can be in maintaining unhelpful beliefs. I’ll give a specific example of someone who this also applies to. This person suffered from depression and anxiety for several decades, and tried nearly everything – CBT, medication and NHS counseling – to overcome this. He eventually went through The Thrive Programme and recently started a conversation about how his parents have reacted to the changes in him since he started to gain confidence, self-esteem and a more positive outlook. His parents obviously love and care for him but it turns out that these changes don’t suit them so much. My client has become more confident and is now happy to make important life decisions without consultation, which he previously undertook (often with his parents) due to his lack of confidence and self-belief. He needed continual affirmation before (which his parents liked, because they like having a close relationship with their family), but not anymore. His parents feel out of the loop and that my client is on some sort of ego trip or mania-driven, knee jerk crusade. They urge restraint, caution and delay (a mirror of their own cautious, conservative approach to life); my client wants to get on with his life and doesn’t need much support anymore. This has caused problems, understandably, but my client has rightfully identified this as an issue and pulled back from taking so much advice and influence from this source. The Thrive Programme has given him the confidence to make his own way in life unimpeded by the unhelpful views of others, which is surely something everyone wants. Obviously, if you are in the process of recovering from mental illness, it’s great to have friends and family that have a positive influence on your life, helping you to continually Thrive and better yourself. Here’s how to spot the helpful ones. If you were in trouble and had to call a friend, you would call them because they’re great at picking up or returning calls, knowing you have mental health issues. But we’ve all had friends who are the opposite of this: consistently poor at returning communications with an excuse of being “busy” or their phone not working properly, like everyone used to say in about 1998. This person isn’t the great friend that you need right now. Reaching out requires a small but meaningful emotional investment, and if that investment isn’t returned, look elsewhere for friendship and support. When you see them, are they happy and positive about seeing you – and you both feel uplifted following a social meeting or event? We’ve all known that naysayer friend; the one will remind you off your past failures and disasters, rather than build you up for future triumphs. The naysayer friend is not helpful. You should feel uplifted and happy after a social event – Thriving and not brooding over past problems. If you’re interested in learning more about this subject in relation to your own mental health, please contact me for a free, no obligation chat.